When choosing the best zip line that is right for you first look at what you will be using it for. Is it for your family? Is it for your kids? Do you need a commercial sized zip line for some insane adventures? Let's say you want a zip line that you can ride as well as your kids, that sums up the entire Alien Flier Series zip line kits. They are made to endure weights of up to 275 pounds and almost all of the parts are made in the USA. If you look on the Zip Line Stop website they are literally the most popular zip line kit that is sold. The reviews for them are off the charts and their performance even under extreme weather conditions has been phenomenal. They also just started offering a 150 foot zip line kit which is awesome. Before they added the 150' kit is was only 75', 100', and 200'- that means if you had a 150' gap between your trees you had to either buy your own zip line cable and do it yourself or buy the 200 foot zip line kit and leave all of the extra slack on the ends of your anchors. Adding the 150' kit really did solve a lot of issues on the buyers end. The other kits sold on the website are the Specialty Kits. They're manufactured by ZLP and are made for more extreme zip line enthusiasts. 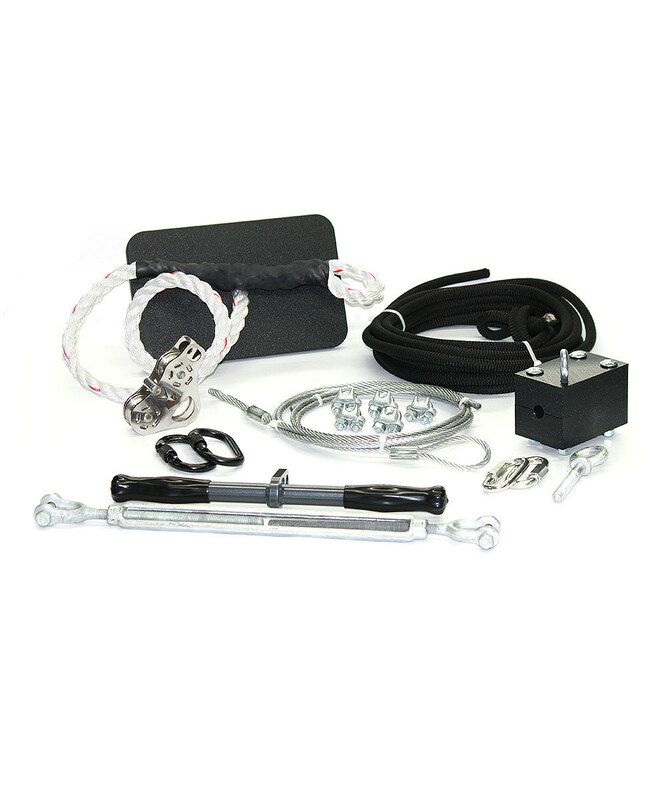 These commercial zip lines for sale come in kit sizes ranging up to 500 feet. 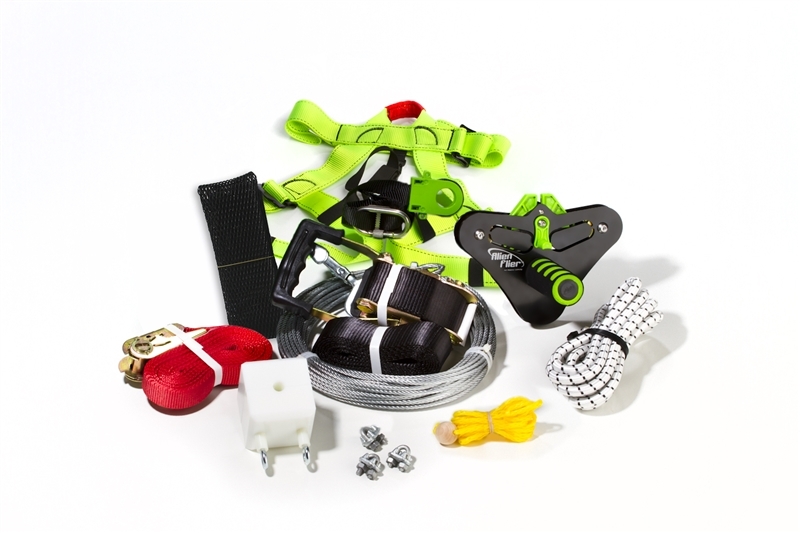 The Torpedo zip line kits come with a zip line trolley that is insanely durable. It is a monster compared to other zip line trolleys and has serious load capacity of up to 350 lbs! WOW. When choosing the best zip line for yourself it really only depends on what you're going to be using the zip line for. If it's for your backyard I would go with the Alien Flier, if you're going to be scaling mountains or putting a zip line longer than 200' in your backyard I would go with the ZLP Specialty Kits. I'm not saying the ZLP zip line kits aren't good in the backyard, they are just more expensive because they have a higher weight capacity. It all depends on what you need! Good Luck!